The final countdown has begun for the crews of 28 boats starting World ARC in 2019. 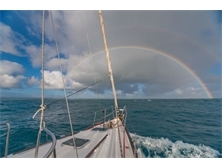 The 15 month circumnavigation will see them cover some 26,000nm and visit 19 countries but the rally is about more than simply sailing around the world visiting amazing places; it’s about the people and the boats sailing together. Crews on board cover range of ages, nationalities, backgrounds and aspirations but all share an adventurous spirit. 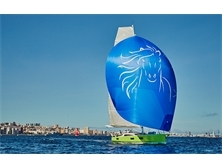 Equally the boats that will take them around the world are a mix of catamarans and monohulls, old boats with thousands of miles under the keel and new designs freshly delivered from the factory.Assembling for the first social function of the rally, each crew was asked to introduce themselves and explain the reason behind the name of their boat. 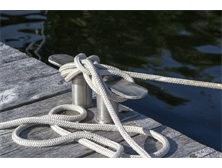 After the enormous... Click here for more info..
Each year on the ARC there are great examples of seamanship as a number of boats experience breakages and equipment failures during the... Click here for more info.. 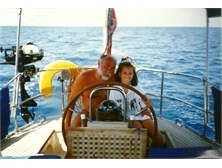 Almost ten years to the day, since they sailed out of Rodney Bay, Eric and Tamara Barto of Sea Child have crossed their original starting... Click here for more info..
Da bereits mehrere deutsche Boote am 11.11. und 15.11. mit der ARC+ mit Ziel Kapverden gestartet sind, ist die Flotte der deutschsprachigen... Click here for more info..
Once in the Caribbean there’s obviously plenty of great cruising to look forward to as crews relax in the tropics after their long Atlantic... Click here for more info.. 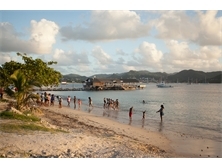 When walking around the docks in Las Palmas it’s great to see children of all ages and nationalities (16 this year) playing together and... Click here for more info..
Top tips from SVG Yacht Services for enjoying a stress-free season cruising in the CaribbeanSVG Yacht Services, based in Bequia,... Click here for more info..
Liz Baugh, maritime and offshore medic from Red Square Medical and Dr. John Ross, medical director of PRAXES Medical Group take you through... Click here for more info.. 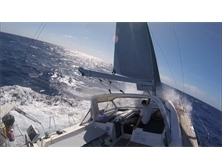 The ARC, the biggest and best of ocean rallies by far, has brought together very many wonderful people, each with unique stories, sailing on... Click here for more info.. 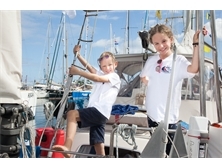 The 2018 edition for the ARC is rapidly approaching and we have over 300 boats carrying 1500 aspiring ocean sailors ready to check off their... Click here for more info.. 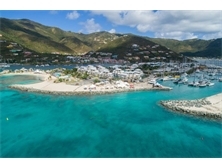 While sailing around the world with World ARC, there are two places that have a special prominence along the way: the Caribbean and South... Click here for more info.. 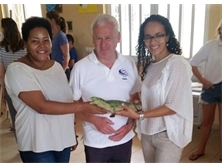 The Atlantic Women 2017 journey began 3 years ago when Rotarian Konrad Wagner brought Petra Pavlisin to visit the Child Development and... Click here for more info.. 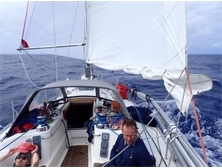 There is a very special and select group within the new World ARC fleet who have just begun their round-the-world adventure. 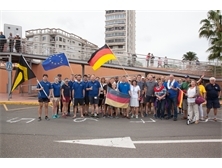 Aged from 8 to... Click here for more info..
ARC 2017 posed some complicated tactical challenges for the fleet from the outset.On the day of the start a cold front to the west of the... Click here for more info.. 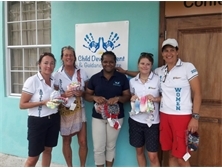 Sighting land after several weeks at sea is a special moment for ARC sailors, “St Lucia looms large now, rolling hills of velvet dotted with... Click here for more info..
Whilst the ARC+ fleet were in the Cape Verdes, the crews of three of the boats went to visit the SOS Children's Villages charity in Mindelo.... Click here for more info.. 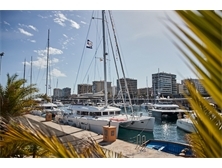 In all there are 44 multihulls sailing under the ARC banner this year - 30 on the direct route and 14 sailing with ARC+ showing the growing... Click here for more info..
Start day is right around the corner and it’s all systems go in Las Palmas as months of planning finally come together. 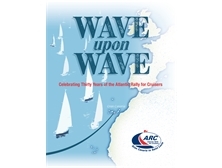 Every crew here has... Click here for more info..
Every year, there are always several participants or boats themselves that have taken part in the ARC rally throughout its 30 year history,... Click here for more info..